Description: Sized 24" x 18". 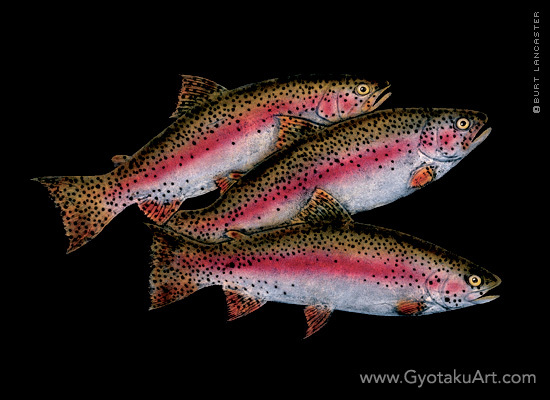 Three rainbow trout are on a black background. Giclee is available. Species: The Rainbow Trout is a beautiful and very important game fish of North America. Unlike Salmon, the Rainbow Trout usually survives spawning. This fish was caught in Lake Tahoe, New Mexico. Look for Burt's work at your local Bonefish Grill.